Today, you get to try one of the thought experiments in this wonderful little book titled: Astonish Yourself. You can pick up a copy for 0.01pence in Amazon UK or 0.01dollars on Amazon US. Treat yourself. 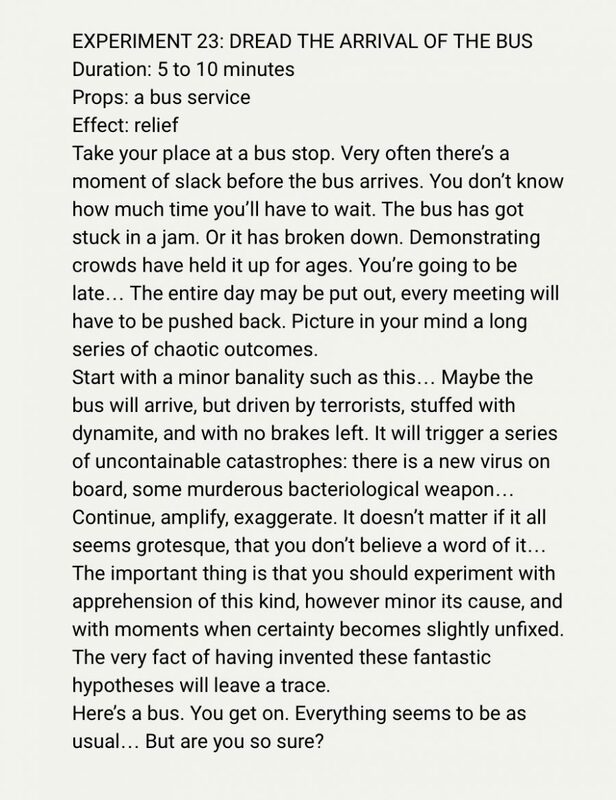 And if you do not have a bus to take, feel free to adapt the experiment to something more suitable to your lifestyle. A way to slow down and stop being busy whilst having fun and learning to break a habit – but only if we set the intention to do so, as Mark reminds us in the quote above.